Premium XL Stainless Steel Tripod Charcoal Barbecue. 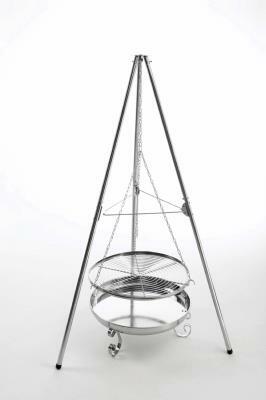 Stainless Steel Tripod BBQ with a suspended cooking grill great fun for camping or in the back garden. 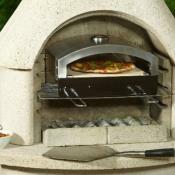 You can adjust the cooking grill height with the suspended chains over the stainless steel fire bowl. I you wish you can remove the fire bowl and suspend the grill over a real fire. Great for camping trips or the back garden. Make your barbecuing more exciting with a suspended grill. 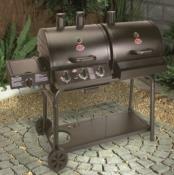 Large chrome plated cooking grill with adjustable cooking height. 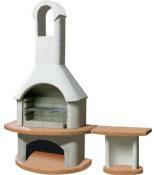 Can be used as a fire pit so when you finished cooking remove the grill and sit by the fire.